Today we had temperatures in the upper 80’s. The winds were out of the south-south-east at 5-8 mph. The Point area has had some spanish mackerel and sea mullet this evening. The pompano and sea mullet bite has been scattered today. The inshore and nearshore boats had catches of spanish mackerel and bluefish. The offshore boats had catches of blackfin and yellowfin tuna and a few dolphin. The wahoo bite was a little slower today. Those that bottomfished had catches of triggerfish, sea bass and grouper. Today we had partly sunny skies with a few rain showers early in the morning. The winds were from the south-west at 5-10 mph and the temperatures were in the low 80’s. 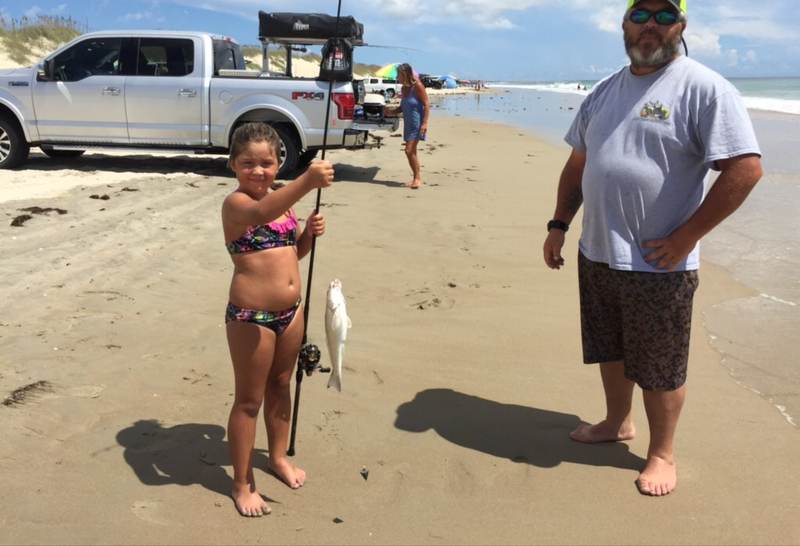 Up on the Avon beach pompano, sea mullet, spanish mackerel and bluefish were reported. Around the Buxton beach spanish mackerel and bluefish were caught. No reports from the Frisco and Hatteras beaches. 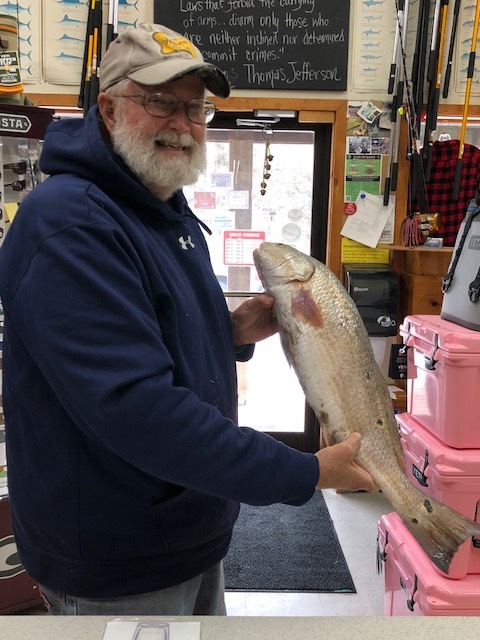 The inshore boats had a good day catching red drum and puppy drum in the Pamlico Sound today. The offshore boats had really good black fin tuna catches, a few dolphin and wahoo were caught. The trigger fishing was good too. Today we started out with light rain, we ended up with a high of 85F and the winds were light and variable. Avon is reporting pompano and spanish mackerel, along with sharks and skates. Frisco had a few spot. The inshore boats had catches of bluefish and spanish mackerel, along with keeper and citation red drum. The offshore boats had catches of wahoo and blackfin tuna, also some dolphin and sea bass. Today started off nice, but went downhill after lunch. The winds went from southwest, to north what seemed like fairly quick. Those north winds started out at light, but quickly increased 15-20 with higher gusts. Buxton and Frisco had some puppy drum. Hatteras had some pompano and a couple of croaker. The inshore boats had catches of red drum and speckled trout. The offshore boats had catches of wahoo, triggerfish, amberjack, snapper, grouper and sea bass.